← New on CTD blog: Why Such an Emphasis on Accuracy? Crickett rifle in the hands of a professional sniper. This entry was posted in interesting people, rifle, training and tagged 22LR, Crickett, fun, range. Bookmark the permalink. I actually like to shoot my son’s Crickett. Although he now wants a semi because he has noticed that his sister’s 10/22 shoots faster. We are thinking about a M&P 22. 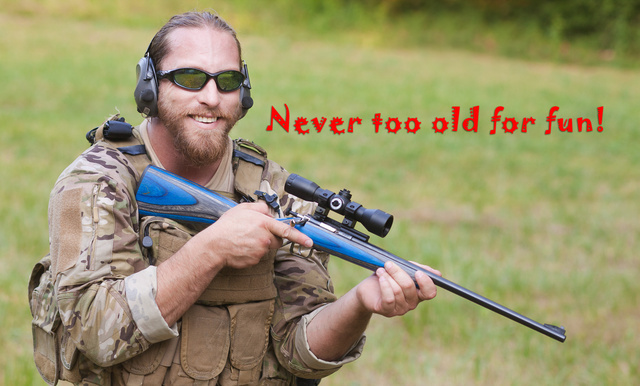 “Youth” guns are also great for adults. They are light and small and may be just the thing for a backpacking trip, or to add to a Bug-Out Bag. Some of them are very well made and should outlast their owners. I’m very fond of my little T/C Hot Shot .22LR single shot, which looks like a scaled down Encore. It’s the lightest and smallest .22 I’ve ever used, although I needed the stock extension (included) to shoot it. It comes with a good sights and a good trigger. I didn’t buy it just for the kids to shoot! what is the make of the low profile hearing protection?